December is one of my favorite times of year as a distance coach. While I love the “grind” of June through November, then January through May, December is the only month in the entire year without organized practices. Having a young family, it is a joy to be able to pick up my daughters after school… or go for a run…. or to remember what it’s like to have a leisurely Saturday morning and make pancakes for the family. Now don’t get me wrong, I absolutely love coaching. I love practice, I love the process of creating (and modifying, re-creating, modifying again, etc..) a training plan. I love the meets. I could not imagine being a teacher without being a coach. However, much like my wife and I want to raise our daughters to be self-sufficient, self-motivated, productive members of society, one of my main goals in coaching is to produce runners who are self-sufficient. Coming off of the cross country season and the 2-3 week break that follows, runners have now been back at it for a couple weeks. We’ve had the one-on-one meetings. We’ve talked about track goals and next year XC goals. We’ve given out training calendars, and discussed the importance of keeping up with your training log. We’ve shown them all the right gear to wear to keep you running in polar vortex-like weather. Now our young runners are set free. Though not quite as crazy as this guy, runners who brave the winter conditions are usually viewed as nuts. To me, many of these are qualities that make not only a successful runner, but a successful person. Having fun and joking around are important- but at some point, successful people have a certain level of dedication and discipline that others don’t. It is easy to train consistently when you are in-season and it is mandatory. It is enjoyable to run shirtless in 80-degree temps in the summer. It is easy to get motivated to train when the state meet is weeks away. However, December is the month that separates the men from the boys. The contenders from the pretenders. The men of talk from the men of action. No coach is there to hold you accountable. No impending meets to prepare for. Twenty weeks away from most meets of any significance… and plenty of distractions and excuses to go around. I’ve often told guys that the time to make big gains or “jumps” is during the winter or summer- but especially the winter. This is nothing revolutionary. Many runners who are committed during other parts of the year struggle with the harsh weather, final exams, holiday travel, family commitments, trips to grandma’s house, and lots of time to stay up late/sleep in. They are comfortable training up to a certain point that does not inconvenience them or force them to make an occasional sacrifice of short-term gratification. It is during these times that the committed- the serious- runner makes his/her move. But what does this look like? What does the training log of a runner who is committed to “the jump” look like? We throw out phrases to our runners such as “be consistent”, “get in your miles”, and “don’t slack over the winter”. We tweet out reminders to log training, and occasional motivational quotes about discipline/dedication. However, it is largely out of our hands, and at times it can be hard to decipher the “comfort zone” runner who is doing enough to look like they are training hard from the serious runner who is making several small choices throughout the winter to make training and improvement a very high priority in their lives. I’d like to show an example from my relatively short time at Plainfield North of a guy who embraced being “serious” about his craft, and had very effective winter training months that allowed him to make a significant jump from XC to track during his Soph year in 2013-2014. “Gauntlet” Mile. PNTRACK.COM Invite, 2015. Jack Sebok- 2013-2014- Soph. year. 12-weeks of winter training: Dec. 7 – Feb 28. 3200: 9:45 (10:12 as a freshman). 1600: 4:30 (4:48 as a freshman). Junior year XC: 15:05 (16:25 as Soph). 1- In researching this, I noticed right away that every day was logged. Even days off. Some days included more detail than others, but every day gave enough description to know exactly what he did and how he felt. If it was a day off, we knew exactly why. 2- Consistent but not crazy- Sometimes legends grow over time, and when I think back to Jack’s high school career, I think of high mileage running, 7500+ career miles, 70-mile weeks, etc. However, as a developing sophomore, he had a ton of very basic 35-45 mile weeks. In fact, for the entire year (June 1 – May 31 of his Soph year), he averaged almost exactly 40 miles per week (when you take out a couple off weeks post-XC). Certainly solid, but not jaw-dropping. 3- He got the job done when he was on his own. There was not drop off in consistency, logging, or quality of training when he was on his own, be it a weekend, Christmas break, or any other time. Jack modeling his “7500 Mile Club” jacket. This club currently has a membership of 1. I have learned a lot from other great coaches in our state. One particular area I have been stretched is my views on “weekly mileage”. As a runner of 20+ years myself, I remember countless weeks of working towards weekly mileage goals. I have had those runs where you keep doing laps around a parking lot to get to a certain mileage number. I have had depressing Sundays where I realize I did not meet my week’s goal. What I think I am gradually learning over time is that it is your body of work over time, as well as your overall consistency with training variety, that allows runners to make season-to-season jumps. When we started using the online training logs with regularity at PN, I admit that a big part of it was to know weekly mileage. While I believe weekly mileage is a piece of the intricate puzzle that is distance/mid-distance training, I no longer think it is very high on the list. What IS high on the list is consistent, moderate training that includes a variety of paces. Tracking mileage for overall consistency is good (in my opinion) because it can be motivating to know how many miles you have run in a week, a year, or a career. I think weekly mileage goals are good in the “off seasons” like the winter and summer, as they give nice short-term guidance to training and goal-setting. But, as we talk about, weekly mileage is more the result of consistent training- not the goal of training. So, as we prepare for another Final Exams week leading into a two-week break from school, I will be enjoying spending lots of time with family. I will be checking training logs from time-to-time, and I am excited to see who our “serious” contenders are this year. As I have talked to fellow coaches about, we as coaches can only “want it” for our runners to a certain extent. The joy is in seeing them emerge on their own, especially during the “off season”. 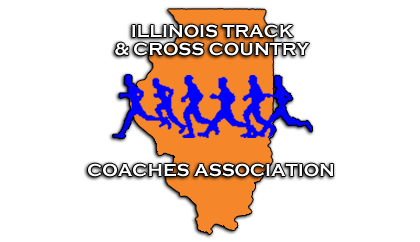 Best of luck to all the runners out there (both at PN and all the other great runners in IL) as you embark on your winter of training and have visions of what you’d like to accomplish in track or where you’d like to be next year in XC. Winter is your time to show not so much others about your commitment (though that is important), but to show yourself what you are really made of. I believe that every runner, deep down, ultimately knows how hard he/she is working and knows their true level of dedication. To most onlookers, any high school runner who ventures outside at all during the winter is a poster-child for dedication and commitment. Similarly, when I walk into a jewelry store and see rows and rows of diamonds, some are priced in the hundreds… some in the thousands. They all look the same to me. The difference can only be seen with an educated eye and a magnifying glass. The true serious runner is also hard to distinguish. But, it is in the fine details, the small choices, and the closely inspected training log that reveals the clarity, cut, color and carat of the runner. As you face the winter ahead, I challenge you to find joy in being serious. Great work coach! A must read for all high school distance athletes! Thanks Coach. Keep up the great work you are doing with your program! Great thoughts. Thanks. I plan on forwarding these to my athletes. Just like parents’ voices, sometimes our voices are not heard but the same thing, said by someone else, reinforces those words. I have been fortunate to have a runner at IMSA who ran with you freshman year, Dan Soto. Great foundation at PN. Thanks. Thanks Paul. Yes, Daniel is a great kid. Glad to see him land at a good program like IMSA. Thanks for the comment. Jack Sebok has certainly been a positive influence for your program. I’ve always been a big fan of Jack Sebok. His passion and professionalism towards his craft are certainly admirable and apparent. I’ve seen Jack riding his bike, cross training, 20 miles from home before school when he’s been hurt with a stress fracture. As a parent, former coach and athlete I could certainly tell good things were going to happen for Plainfield North’s distance program a few years ago with yourself and Jack Sebok leading that group. Having an athlete with Jack’s work ethic is certainly infectious to other high school athletes who want to become better themselves. Having an athlete with Jack’s passion and desire to excel can certainly drive or jump start a group of young athletes to future success. I’m willing to say his passion, desire and professionalism towards his craft are certainly key ingredients behind the success of this serious athlete! Thank you for the kind words, that means a lot. It’s not rocket science- consistency over time wins… or at least improves the most. The message I want young runners to understand is that you have to be honest with yourself- I think sometimes they get a false sense that they are working hard and consistently, but don’t realize the attention to detail it takes to stay truly committed to improving. Some can get away with doing the minimum, but most don’t have any idea how good they could be if they were relentless. I also hope that Jack’s steady example shows that it is not crazy- it can be very manageable as long as you make training everyday a high priority. This is excellent!!! !, I plan to share it with my son. Best to you and yours athletes! Thank you for the kind words. I assume your son is Emmanuel? He is a terrific runner. Best of luck this season.